Below you can view all the homes for sale in the Fieldstone subdivision located in Conyers Georgia. Listings in Fieldstone are updated daily from data we receive from the Atlanta multiple listing service. To learn more about any of these homes or to receive custom notifications when a new property is listed for sale in Fieldstone, give us a call at 404-998-4195. The Spacious Deck Is Perfect For Entertaining Visitors! 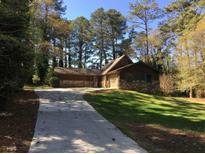 MLS#8525272. Jar House Llc. Full, Unfinished Basement To Be Used To Fit Your Needs, It’S Already Stubbed If You’Re Needing More Finished Space Or A Bathroom For The Future Workshop MLS#8520006. Carter'S Galaxy Of Homes.